Eurovision 2016 might be over, but songs from this year’s line-up are already dominating iTunes charts around the world. Let’s take a look and see what songs are setting the charts on fire. The winning song is the No.1 song in Ukraine and Uzbekistan, as well as Laos. It’s top 10 in the charts of 15 countries, including No.2 in Russia, and is a popular track in both Eastern and Western Europe. All up, it’s charting in 40 countries. The televote winner is proving a favourite, charting in 32 countries. It’s at No.1 in Russia, and is charting particularly well in former Soviet countries. But it’s also seeing some top-10 action in Sweden, Finland and Poland, with plenty of other countries making Sergey their only one. The jury winner is also making an impact in the charts, appearing in 31 countries. It’s No.1 in Malta and Australia, and top 10 in 13 countries. Dami’s powerhouse vocals have made a particular impact around the Nordic and Baltic regions. Sweden might have placed fifth, but “If I Were Sorry” is No.1 in Austria and Estonia. The song, which had already enjoyed some chart success before the competition, is charting in 30 countries, including top 5 in 14. The Norwegian jury might not have awarded in points, but the Norwegian public have put Frans at No.3 in iTunes. It’s also No.23 in the UK, suggesting it might even make it to the official singles chart. Poli’s power pop is proving a hit in its home country where it’s No.1, but “If Love Was a Crime” is has also charted in 26 countries, including No.2 in Malta. And that’s not all! Amir’s song “J’ai cherché” is charting in 24 countries, including No.2 in France. Michal Szpak’s “Color of Your Life” is charting in 23 countries, proving its televote popularity. Francesca Michielin’s “No Degree of Separation” is found in the charts of 19 countries, and fan favourite “Loin d’ici” by Zoë is charting in 18 countries, as is Laura Tesoro’s uplifting song “What’s the Pressure” and Barei’s “Say Yay”. The only finalist song not to chart is Serbia’s “Goodbye (Shelter)”, while some of the unlucky non-finalists are still enjoying some chart action. 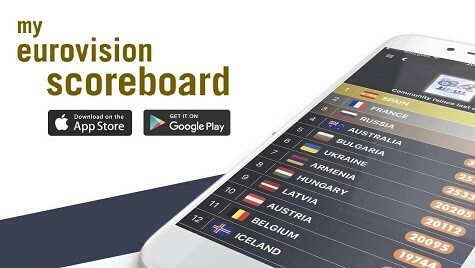 Host country Sweden is fully embracing Eurovision, with 20 songs in their iTunes chart, as well as the interval act from Justin Timberlake and Måns Zelmerlöw, as well as “Heroes”. I think that Frans and Dami Im will enter the official charts as well. People use this “former Soviet” crap because they need to label us somehow and we are in part to blame for not having developed a more successful identity. But in essence it is as idiotic as calling Germany “Former 3rd Reich country Germany”, or F3RC Germany for short. Ukraine will ultimately show the poorest chart position ever seen in Eurovision. Who on earth would want that on their ipods!!! Saying “formet Soviet” is not offensive at all – it merely describes all countries that used to be included in USSR. The same goes for “former Yugoslavia”. Why haven’t you written anything about Worldvision. I guess Jamala’s song is charting among the Turkish diaspora around the world. So, you can’t say it’s charting in European countries. She even got a call from Turkish president Erdogan. The U.K. Music channels are playing Franz all of the time. First time I’ve seen that happen since Loreen. I think the fact that he is half-British might be helping him along though. But it’s a great song. Shame Poli Genova isn’t charting in the UK/Ireland. I’m in love with her and her entry. well Serbia is not charting because it doesn’t have local itunes.If it had I’m sure it would be charting in Serbia at least. Poland televoting points was Sensation at the night! visit doctor, you’re clearly off your meds. Lol that’s true! They play Bulgaria’s song and Barei’s Say Yay all the time here in Spain. I also heard Amir’s song one time on some radio station. Hey Oxana I saw you commenting on every damn article here…usually about the Ukrainian/Russian sh*t. Dont you have life to live girl ? Conclusion: ESC result works as the trendsetter, and itunes is catching up it. Not the other way around. @Oxana being soviet is worse than being Nazi? I wouldnt be surpried if it turned out that you are a fan of Bandera who has killed 200 thsnd Poles and a huge number of Jews. Russian song is very popular in my country. It`s good news:) I hope Sergey would play concert in my country. This final results are a completely swindle. The most boring and political song won: Ukraine such crappy and boring song (don´t say that had a deep lyric because only some few people could understand it), Russia… was just spectacle, if you take the 3D out the song you´re the only one, you´re my only one you realised that is not a good song. We definetly have a different oppinions West and East Europe not only music opinions but also politic and open minded which is revealed in the votes. people haven’t expected that Michal will do so well with televotes (I had a faith in him, so I’m rather glad than others). when people have missed the point and see unexpected result they try to blame everything but not own lack of prediction skill. I guess they just mean and make up stories about diaspora because they have no dignity and no intelligence to chekc previous vote results to see that Poland is one of the countries who never gets neighbor points (like Israel) and often goes underrated. “former Soviet countries” again? someone stuck in the past that badly? tell me, respected author, do you count Poland, Germany and other countries who’s been under Soviet regime too? or you use standard cliche about former USSR republics only? Baltic countries counted or not? don’t call us EX SOVIET countries, it’s worse than to be called Nazi. have some respect to half of the Europe dammit!